*MSRP excludes destination ($1,595), taxes, title and registration fees. Starting at price optional equipment not included. A more expensive model may be shown. Pricing and offers may change at any time without notification. To get full pricing details, see your dealer. 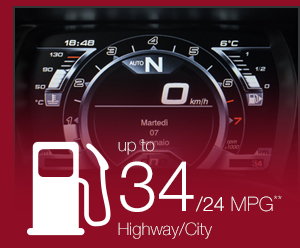 **EPA-estimated fuel economy. Actual mileage may vary. When the summer sun is shining in Washington, you need a vehicle that lets the light in and lets the fresh air blow through your hair. If a convertible is appealing to you, don’t choose just any coupe with a top down. Instead, go with a true driver’s car–the all-new 2015 Alfa Romeo 4C Spider. This race-inspired convertible coupe makes every back road feel like a race track. Plus, you’ll get a plush sensory experience at every level with Italian handcrafter workmanship. Keep reading to discover what sets the 2015 Alfa Romeo 4C Spider apart, then head to Alfa Romeo of Tacoma. Every detail of the 2015 Alfa Romeo 4C Spider is handcrafted and impressively designed. This convertible coupe offers an incredible open-air experience with carbon fiber accents, interior fabrics and contrast stitching that match the exterior, as well as many other driver-centric details. You’ll love commanding the agile 2015 Alfa Romeo 4C Spider from the race-ready bucket seat surrounded by details like the instrument panels angled towards you, aluminum pedals and heel guards, flat-bottomed steering wheel, and much more. With its supercar Carbon Fiber body and Sheet Molded Compound for the outer body, the 2015 Alfa Romeo 4C Spider is designed for agility. The incredible 2015 Alfa Romeo 4C Spider comes equipped with the latest tech features and safety equipment for the complete driving experience. Its driver-friendly tech includes one-touch power windows, LED tail lights, keyless entry, Bluetooth connectivity, and more. To keep you safety as you tear down the road, the all-new 2015 Alfa Romeo 4C Spider features hill-start assist, antilock disc brakes, multimode traction and stability control, and multiple airbags. With its cutting-edge tech and safety features, the Alfa Romeo 4C Spider delivers a complete driving experience. 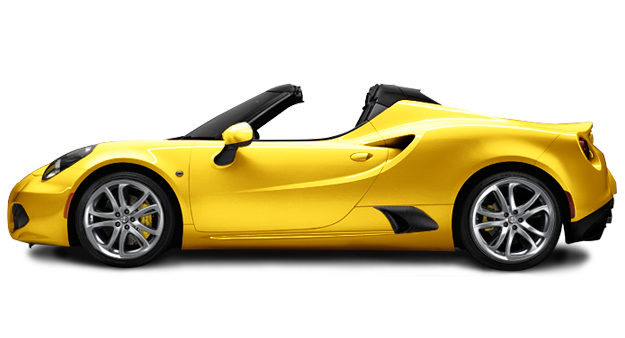 Launching from 0 to 60 mph in just 4.2 seconds, the 2015 Alfa Romero 4C Spider is the most fun coupe you may ever drive. The all-new 2015 Alfa Romeo 4C Spider masters weight balance and is rated at 237 horsepower with its all-aluminum turbocharged four-cylinder engine with a dual-core intercooler for incredible race-inspired performance. With the Twin Clutch Transmission with Launch Control, you’ll have the perfect amount of control and efficiency. Now’s the time to head to Alfa Romeo of Tacoma and check out the Alfa Romeo 4C Spider for yourself! If you’re looking for a vehicle that goes far beyond the extra mile, it’s time to choose Italian-made and handcrafted. Right now, you’ll find European flair for a great value here at Alfa Romeo of Tacoma. Our import experts are standing by to help you find the perfect vehicle in our new Alfa Romeo selection or our certified pre-owned vehicles. We also specialize in import vehicle maintenance and are happy to offer special deals on vehicle service and savings on Alfa Romeo parts. For even more information, give us a call at (253) 830-5700 or come see us at 3740 S Tacoma Way, Tacoma, WA 98409, where our service is worth the trip from Renton or Federal Way, WA.